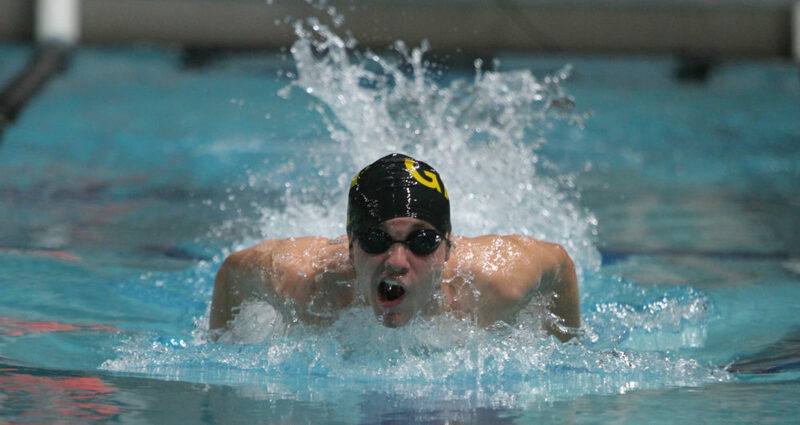 ST. PETER, Minn. – The Gustavus men’s swimming and diving team hosted the fourth annual Grace Goblirsch Memorial Invitational on Saturday and came away with a convincing win. The Gusties accumulated 861 points for first place, while Morningside College took second with 497 points, edging Macalester with 480. The Gusties have Thanksgiving weekend off and then take part in the Grinnell Invite on Dec. 1-2.